For a DUI case with court scheduled in Royal Oak at the 44th District Court, a recommended attorney that specializes in the defense of DUI is critical. A DUI conviction will have a lifetime impact on your driving and criminal record. Retaining a lawyer who specializes in DUI will ensure that your defense is prepared in the correct way, and that you receive proper advice along the way. Searching for the Best Royal Oak Michigan DUI Defense Attorney To Represent You At the 44th District Court? 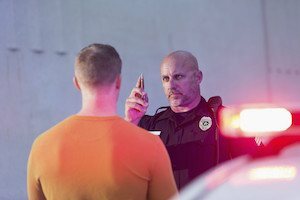 Felony DUI offenses carry the most extreme and tough penalties for DUI upon conviction. With a DUI conviction you face a conditions of sentence that are mandatory, such as a jail or prison confinement, community service,comprehensive alcohol treatment, and strict probation conditions (unless you are sent to prison). If you receive a probationary sentence, a probation violation often leads to prison. Misdemeanor DUI offenses can result in jail confinement, and strict probationary conditions upon conviction. The maximum allowable jail sentence may be a result of a probation violation. For both felony and misdemeanor DUI convictions you will be burdened with driver's license penalties imposed by the Michigan Secretary of State for which your Judge cannot alter. Finding the best DUI legal representation, without a doubt, is in you and your family's best interest. The defense counsel for DUI who is recommended time and again for is Daniel Hilf of Hilf & Hilf, PLC. Attorney Hilf is a well qualified and accomplished DUI lawyer. Call Hilf & Hilf today and ask for attorney Daniel Hilf.